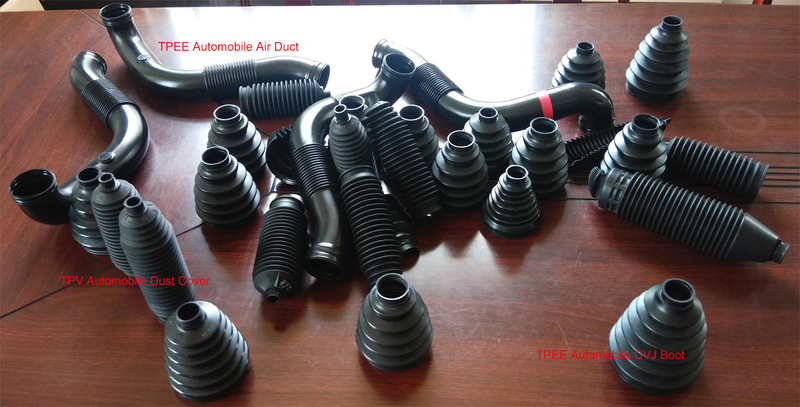 Pimpex Plastic supplies 3D EBM Extrusion Blow Molding Machinery for making TPEE/TPV/Nylon automotive/car air ducts, hoses, tubes, pipes. 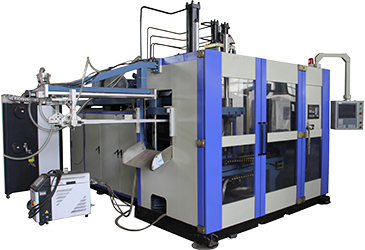 This modern 3D EBM Extrusion Blow Molding Machinery K3D85/1000 is specially designed for automotive TPEE air ducts, which could make out the finished air ducts without flashes. 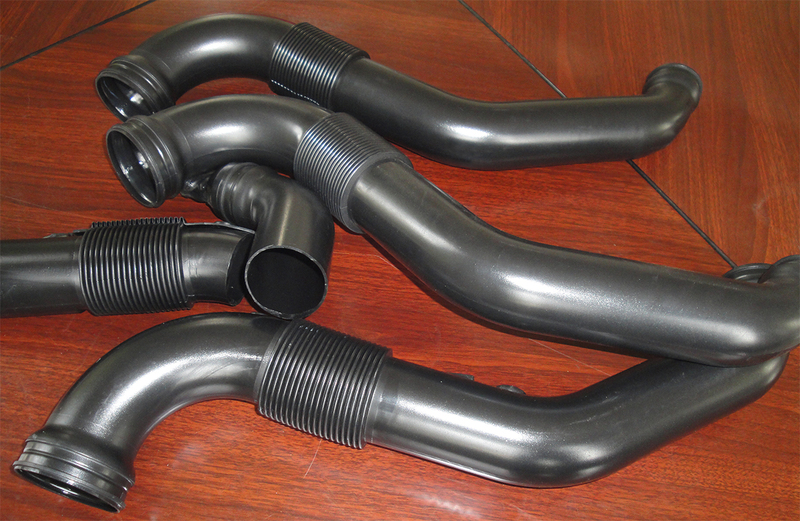 If by traditional 3D blowing process, there might be 3-5 times weights of flashes. 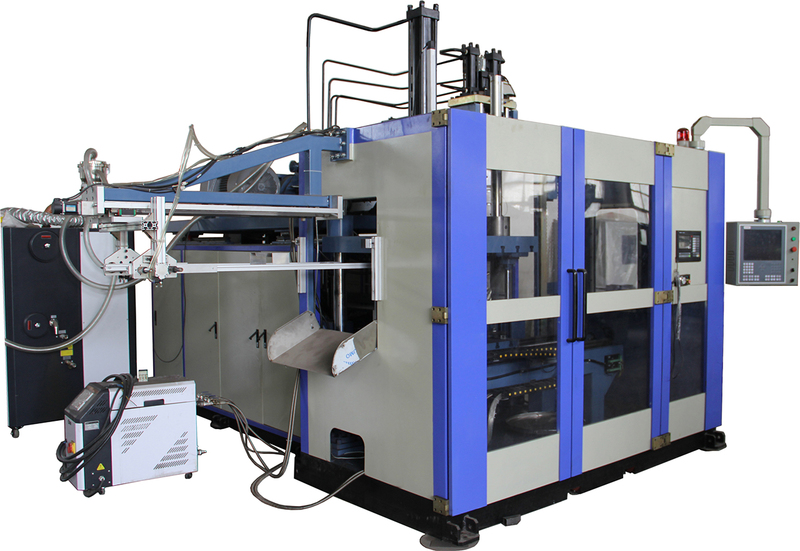 This modern 3D EBM Extrusion Blow Molding Machinery K3D85/1000 adopts X-Y-Z three axises moving structure, controlled by high precise servo system with accurate positioning and quick response as the extrusion diehead moves upwards and downwards (Z direction), the extrusion diehead moves back and forth (Y direction) and the moldplate moves left and right (X direction). Plus 15" touch screen Germany BECKHOFF 300 points wall thickness control system, the finished automotive air ducts (automotive air pipes, automotive inlet air pipes, automotive intake tubes) have even wall thickness. 5. Screw and Barrel adopts excellent 38CrMOALA nitriding steel with nitrided surfaces, fully meet with the batch production requirements of TPV, TPEE materials. 7. Imported HIWIN linear guideway.